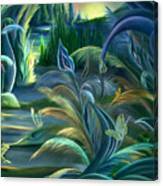 Mural Insects Of Enchanted Stream iphone x case by Nancy Griswold. Protect your iPhone X with an impact-resistant, slim-profile, hard-shell case. The image is printed directly onto the case and wrapped around the edges for a beautiful presentation. Simply snap the case onto your iPhone X for instant protection and direct access to all of the phone's features! 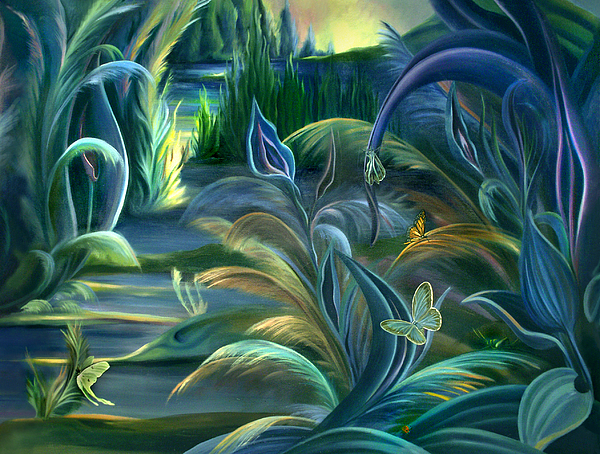 Intrigue and mystery evolve the more one looks at this wonderful work Nancy. 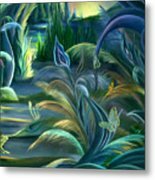 I love seeing the lunar moth about in this work. They fascinate me and always did. Rich colors with these blues, greens and touches of gold. F/L. Thanks Randy, I lve the luna moths too, a sighting up here can be very special and I had one the year I painted this panel. Such a wonderful comment THANK YOU!!!! Nancy, I have to add my voice to the growing chorus of people enamored by your enchanting images. I spent 2 hours this morning on your site reading descriptions and getting lost in your magical creations. You have a real gift. Following/L/F. Vincent, thank you ever so much for taking the time to explore this mural and my web pages. That is such a wonderful compliment to know someone takes the time to look. In turn you are a masterful artist yourself and I will be returning to see your work as well. Nancy, this is so luxurious! Love the butterflies enjoying the magic! :) fav/like! Thank you so much, I am really honored! Such a magical image! Love the colors and lighting!